Backed by more than 70 years of experience, Ipsen’s mission to strengthen heat treatment through expert-driven solutions. Like their founder, Harold Ipsen, Ipsen believes innovation drives excellence. Originally founded in Rockford, Illinois, the heat treatment specialists at Ipsen are committed to delivering proven technology for a range of applications. Ipsen’s TITAN furnaces are available in several sizes, horizontal or vertical configurations. Harold Ipsen founded Ipsen in 1948 with a vision of creating products and technologies that continuously push the boundaries of innovation to create a future of thermal processing excellence. With more than thirty patents to his credit, and more than 100 patents held by Ipsen today, these inventions have revolutionized the heat-treating industry. Harold Ipsen’s commitment to advancing technology is the inspiration behind Ipsen’s vision for the future – a future where they continue to strengthen and accelerate innovations in almost every industry. Today, Harold Ipsen’s legacy of innovation still lives on in all that the company creates. Whether it is their versatile heat treatment systems or advanced process technology, Ipsen aspires to provide cutting-edge solutions that continuously improve and refine operations. One of their latest advancements is the PdMetrics® software platform, which was created to integrate with the Internet of Things and Industry 4.0. This software platform surpasses current technology, allowing you to incorporate predictive maintenance capabilities and gather data that provides valuable insights. Zenith Cutter, a manufacturing company based in Loves Park, Illinois, recently purchased a TITAN® H6 vacuum furnace with 2 bar gas quenching that will be used at their Metkraft facility in Ho Chi Minh City, Vietnam. Founded in 1923, Zenith Cutter began as a manufacturer and distributor of cutters for the woodworking industry. Over the next several decades, the company entered industries such as the plastic industry, the tire recycling industry, as well as the market of tree care. Zenith Cutter acquired a Vietnam manufacturing operations company in 1997 and began developing shingle knives for the roofing industry. In 2005, they opened a new manufacturing facility in Ho Chi Minh City, Vietnam. In 2011, Zenith Cutter was acquired by the Fisher Barton Group, a collection of independent global manufacturing subsidiaries based in Wisconsin, South Carolina, Illinois, Texas, Vietnam and Ireland. Zenith Cutter manufactures industrial knives, cutter blades and related accessories to markets including corrugated products, converting, plastics, recycling, tree care, roofing, textiles and wood products. They previously used atmosphere heat-treating for production but have transitioned to using vacuum equipment. This furnace features a graphite work zone measuring a 36″ x 48″ x 36″ (915 mm x 1,220 mm x 915 mm) with a 3,000-pound (1,360 kg) load capacity. It is capable of operating at temperatures of 1,000 °F to 2,400 °F (538 °C to 1,315 °C) with ±10 °F (±6 °C) temperature uniformity. The furnace is also equipped with a closed-loop water system and Ipsen’s PdMetrics® predictive maintenance software. The company also took advantage of Ipsen’s support offerings, which include Ipsen U training, a spare parts kit and installation supervision/start-up. Ipsen recently designed and built a vertical, high-pressure quenching furnace, complete with twin cooling systems and a work volume of 350 cubic feet. During the testing phase, the furnace quenched with 1,000 horsepower (.75 megawatts) – a remarkable achievement that began as an idea just months prior. 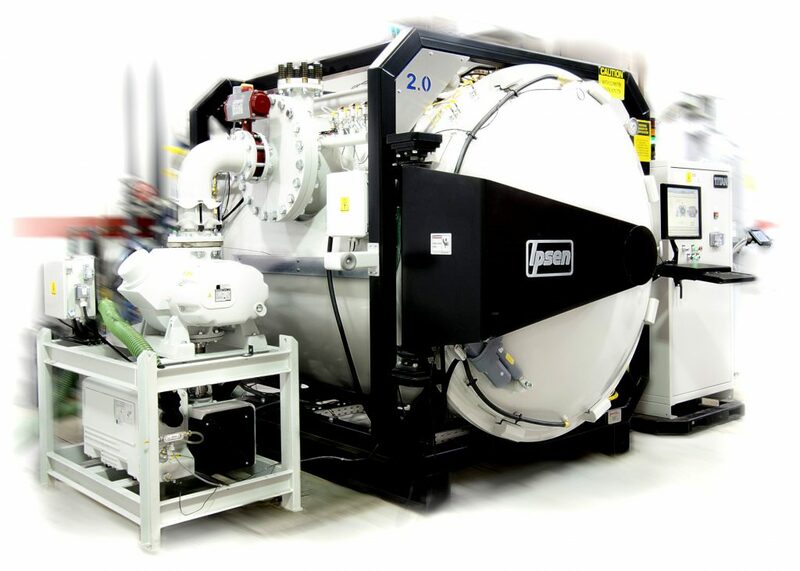 Having previously used atmosphere heat-treating for production, Zenith Cuttern turned to Ipsen to transition to using vacuum heat treating equipment. 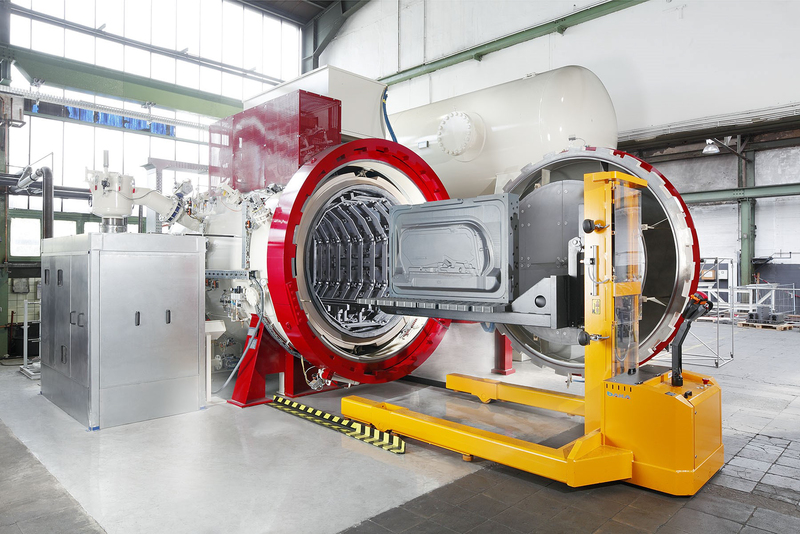 As is typical with a custom build, the customer came to Ipsen with specific requirements: they needed a large furnace with a very aggressive cooling rate. During the design phase, Ipsen’s Engineering Team determined that twin cooling systems to provide 1,000 horsepower quenching capability were the right solution due to the customer’s process requirements and the geometry and cross-section of parts. Ipsen Engineers, alongside the customer, looked on during the testing phase. Ipsen excels at engineering and manufacturing innovative, highly technical thermal processing systems for unique or special applications. The opportunity to create custom solutions allows Ipsen to continue advancing technology and grow its portfolio of product offerings. Whether you require custom equipment for your unique process requirement or a standard, dependable furnace with versatility, Ipsen has a solution for you. For more information, visit www.ipsenusa.com.